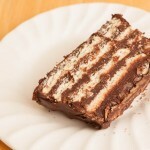 How to make Kalter Hund, a German chocolate & cocount refridgerator cake. 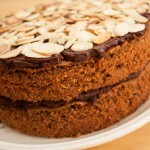 How to make a Chocolate and Almond Sponge Cake using the simple all-in-one method. A delicious sponge sandwich cake with a dark chocolate filling and topping.